Why translate the Old Testament anyway? Recently, I’ve been asked about the relative importance of translating the Old Testament for languages here in Papua New Guinea (PNG)...much less the importance of translating the ugly stepchild book of Leviticus. Shouldn’t you just focus on translating the parts about Jesus? The modern church doesn’t really need all that stuff anymore. hard at work on Leviticus! 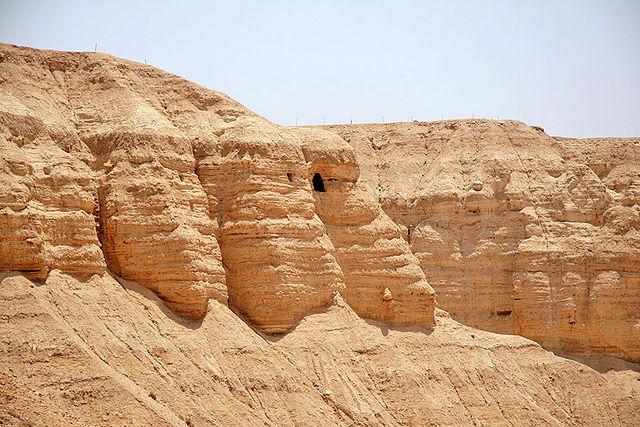 Here are four big reasons why the Old Testament is important to include in Bible translation! 1. The story of Christ IS the story of the Old Testament. Origins. Human value. Sin. Redemption. Sacrifice. Love. Covenant. The Fall. God’s pursuit of Israel. Without the Old Testament to provide the foundation and understanding, then just reading the New Testament is like handing out bottles of unlabeled medicine without knowing the ailment or the side affects. Jesus, Paul, Peter—all of them presented the story of God’s amazing love and grace using only the writings that now make up the Old Testament; they had no Romans Road. If they can do it, so can we. As Nathan, one of my Kamano-Kafe colleagues put it, "The New Testament is all about fulfilling the Old Testament. How can we appreciate and understand the New Testament if we don't know the Old Testament?" 2. The Old Testament provides a wealth of cultural information. We all interpret things through the lens of our culture without even knowing it. The Old Testament is like the back-stage door, giving readers insight on what is going on behind the curtain. It’s one thing to marvel at Jesus’ mercy when He touched blind men, lepers, or the woman who bled for 12 years. It’s another to be in awe of His actions when you understand the extreme cultural taboos and laws and extreme penalties surrounding His choices...and He did it anyway. 3. The Old Testament teaches through story. In the New Testament, once you pass Acts, the stories pretty much trickle to a halt, and you’re faced with letter after letter. The Old Testament, on the other hand, is full of talking donkeys and lions dens and impossible battles and fiery chariots and evil kings and daring escapes. The vibrant storytelling of the Old Testament teaches important truths about God in a way that oral cultures, like PNG (or even Israel in Jesus’ time), find much more palatable and understandable. 4. The cultures of PNG and ancient Israel share more similarities than you might think. Land-based societies filled with social taboos, animal sacrifices, blood vendettas, sorcery, loose alliances, death rituals—PNG and ancient Israel have many similarities, and often my Kamano-Kafe teammates understand the reasons and importance behind laws much more quickly and fully than I do. The Old Testament delves straight into practical, every-day problems (think of Proverbs, Psalms, Lamentations and more). Some things are quite challenging to translate—fractions, for example, and the differences between certain metals or various fabrics, but we never run out of words to talk about gardening or killing livestock! So, in response to your questions--yes, we are focusing on translating the "stuff about Jesus"--all 66 books! Bush roads in Papua New Guinea! A few years later, Sakias began audio recording several New Testaments. But in the middle of his second project, tragedy struck. Ampiya, his beloved wife and strong supporter, became deathly ill. Within a week, she had died. During her illness, Sakias fasted and prayed and begged God to save his wife’s life, but still she died. Angry and defeated, Sakias turned away from God and left his recording work behind. “I just wanted to give up,” he said. But, several months later, Sakias had a dream. “God told me, ‘You read Ecclesiastes 3.’” Reluctantly, Sakias opened his Bible, and as he read, he was struck by not only God’s control over life and death, past and future, but that God has given each person a specific work to do. “I read this chapter, and the Lord spoke to me,” Sakias said. In surrender and gratefulness, Sakias returned to the New Testament recordings. Saki is one of my co-workers, and I enjoy seeing his smile every time I walk into the office! I originally wrote this article for the The PNG Experience (our publication site for translation in Papua New Guinea). Buddy, our dog and mascot, of course made an appearance! Creating art has been a part of my life ever since I could wrap a fist around a crayon (my sister loves reminiscing about it here). In many ways, it's a life-giving endeavor; I can tune out the world and pour myself out onto paper (I even have a website dedicated to my art: www.catherinerivard.com). But, in order to be able to allow myself to do that, I have to have an excess of energy that isn't already earmarked for survival activities...like eating and walking and talking to people. 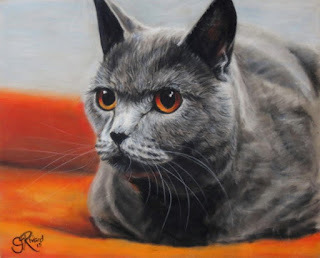 For the last few years of dealing with Lymes Disease and Chronic Fatigue Syndrome, I've been hanging onto survival, and art has pretty much been on the backburner (except for when I rallied while I was in the US and did a painting series on children). But, in the last few months, I've been feeling much better (thanks to treatment) and decided to give it a try again! How exciting to move past survival!! Soft pastels on suedeboard have long been my primary medium, and I had a few old pastels here and some scrap pieces of suedeboard. To be honest, the quality of the materials I'm working with is a little like a cook being handed a rusted-out cooking pot and a bag of dog-food-quality bones and being told to work a masterpiece....but hey, beggers can't be choosers! (And yes, I suppose I'll bring back some higher quality stuff with me after my trip to the US this year.) For these pieces, I decided to give myself time deadlines (sometimes paintings or drawings of mine can easily exceed 20-30 hours) and I needed to complete it in 5-8 hours. Just a random cat...but I love the orange contrasted with her fur! A portrait of my housemate's horse, Caliber! Some kids I've encountered in my travels! A great adventure! Fantastic! Amazing! Interesting! 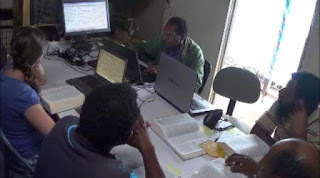 These words and more were used by ten Papua New Guinean men and women involved in Bible translation to describe their recent two-week trip to Israel. As they journeyed around the country, visiting places like Jerusalem, Bethesda, Gethsemane, Bethlehem, and Masada, they saw the Bible come to life. Suddenly climate, distances, locations and events in history were tangible and understandable, and many words that they have to translate (like cistern) finally made sense.